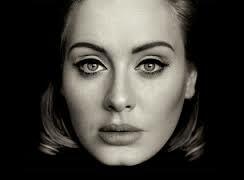 On Thursday of this past week, tickets for Adele’s tour went on sale. Through some minor internet miracle, I was able to get a pair of tickets for my wife and daughter. They both love Adele and were extremely excited about their good fortune. This will be my daughter’s first concert. My wife commented that our kids have done pretty well for their first concerts: Foo Fighters at CitiField and Adele at Madison Square Garden. By comparison, my wife first saw the Beach Boys (way past their prime) at Waterloo Village and I saw Poison at the Meadowlands. I’m not sure that most people’s first concert experience has a big effect on them but mine did. Please share in the comments what was the first concert that you attended. The reason that my first concert was memorable had nothing to do with Poison. I actually much preferred the opening act, Tesla. After that concert, I went to Sam Goody or some other record store and bought “The Great Radio Controversy”. It was a decent album but the music eventually became secondary to the process that it started. The liner notes to the album explained the name of the band and what the great radio controversy was about. After reading that bit of information, I looked further into Nikola Tesla. It was the first time that I remember using an encyclopedia for something that was not school related (the internet was not available). Music was a gateway to exploring information and ideas that would not be presented in school. This habit continued through high school with my interest in punk rock which helped to expand my vocabulary and thought processes. At this point in my life, this form exploration is second nature and the internet has made it much easier. The one thing that I try to avoid is getting caught in a complete echo chamber. Although we have infinite amounts of information available to us, many people get caught listening to the same messages continuously. This is not to say that all things are worthy of our attention. It is important to consider what you value and be open to new possibilities when they come along. Poison was an OK concert to begin with but if I was still only listening to “Every Rose Has Its Thorn”, I’d be worried about myself. Although we tend to think of ourselves in very concrete terms, we should be anything but stagnant. Seeking out the next step seems to be a better strategy than waiting for someone to tell us where to go. Adele is on tour now because she is relevant at the moment. There is nothing wrong with going to see Poison provided that you realize that they’re a nostalgia act. Visiting the past is enjoyable. Living in the past can be dangerous. The past is unchangeable. The present is our one opportunity to affect the future. Decide what you need in order to take your show on the road and be tour now. Living Colour. 9th grade. Bowdoin College Gym. Living Colour! Very cool first concert.